Topre Realforce remains my suggestion. They aren’t available to demo in any stores outside Japan,.. The Keyboard Company in the UK lets visitors try them. Topic: What mousepad do you use? 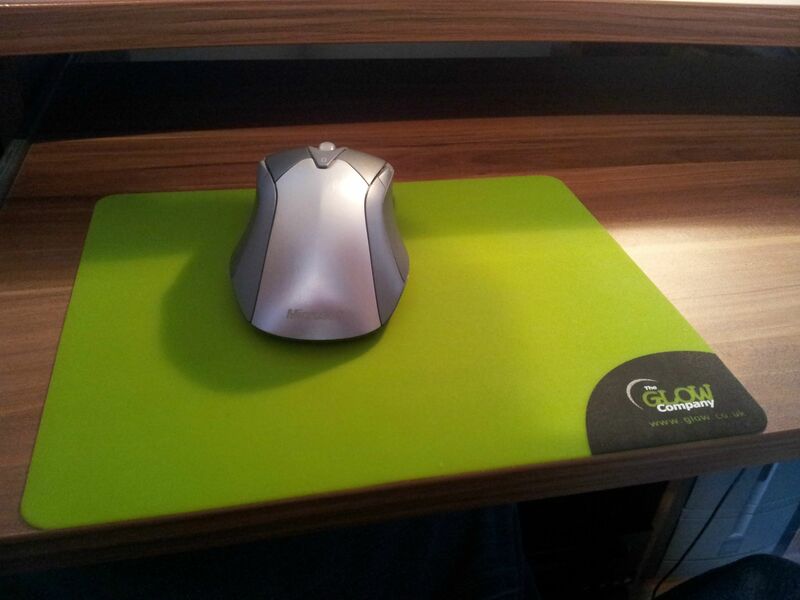 Here's my 'Glow Company' mouse pad with my crappy Microsoft mouse sitting on it. I don't use it so much for traction than just a nice surface for my wrist to sit on.